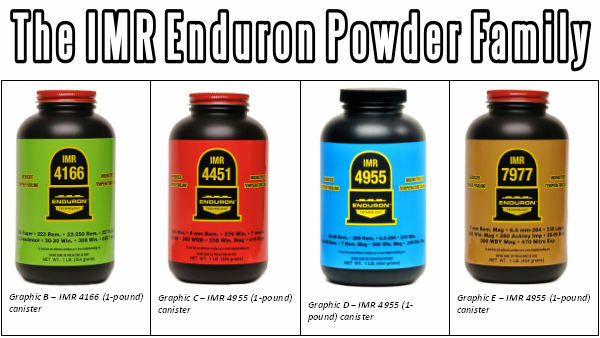 Have you tried IMR Enduron powders yet (IMR 4166, 4451, 4955, and 7977)? We’ve been impressed with what we’ve seen. IMR’s line of Enduron extruded powders offer excellent temp stability, reduced copper fouling, and good load density for many popular cartridges (such as .223 Rem, 6mmBR, .308 Win, .30-06, 300 WSM to name a few). Some of our Forum members have reported excellent results with IMR 4166 in the 6mmBR, Dasher, 6.5×47 Lapua and .308 Win. One member wrote: “in my 6.5×47… 4166 gives speeds and accuracy pretty much exactly the same as Varget.” And other shooters have observed reduced copper fouling with Enduron series powders, so IMR’s Enduron anti-fouling chemistry does seem to work. A third major accomplishment with this technology is ideal load density. Experienced reloaders know that a case-filling load often delivers the most uniform velocities and best accuracy. 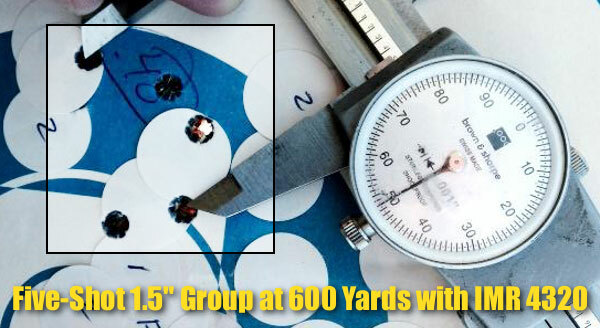 We see this in popular match cartridges such as the 6PPC, 6mmBR, 6BRA, 6.5 Creedmoor and .308 Win. These new Enduron powders offer excellent “full case” load density for the most commonly used cartridges with popular bullets. 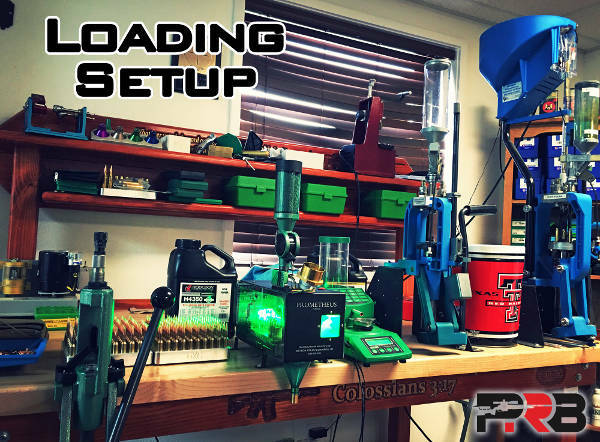 Share the post "IMR Enduron Powders — Accurate, Temp Stable, and Versatile"
Hodgdon has released its 2019 Reloading Manual, the 16th Annual Edition of this valuable reloading resource. This new manual contains data for Hodgdon, IMR and Winchester Smokeless Propellants in more than 5,000 loads, with updates for 17 rifle and pistol cartridges. 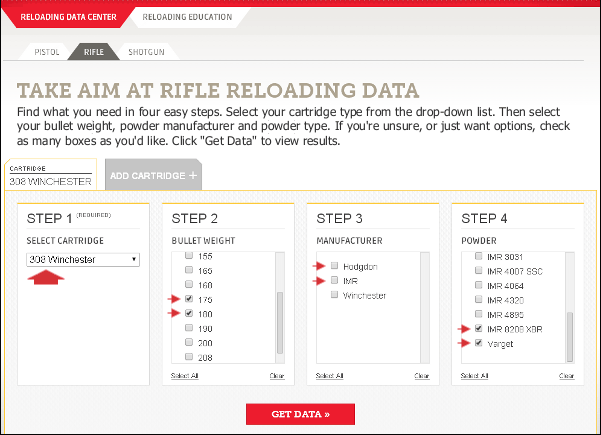 Using this resource, handloaders can now find data for the new 224 Valkyrie and 6.5 PRC cartridges. Along with comprehensive load data, the 2019 Hodgdon Annual Manual offers authoritative articles by leading gun and outdoor industry writers, working with the editors of Shooting Times magazine. CLICK HERE to order the 2019 Hodgdon Annual Manual from the Hodgdon website for $12.99 (shipping included). You can also purchase the Annual Manual wherever popular magazines are sold. In 2017 Hodgdon celebrated its 70th Anniversary. At SHOT Show 2017 talked with Chris Hodgdon. Chris was proud to note that his family-owned company is now marked its 70th year in business. 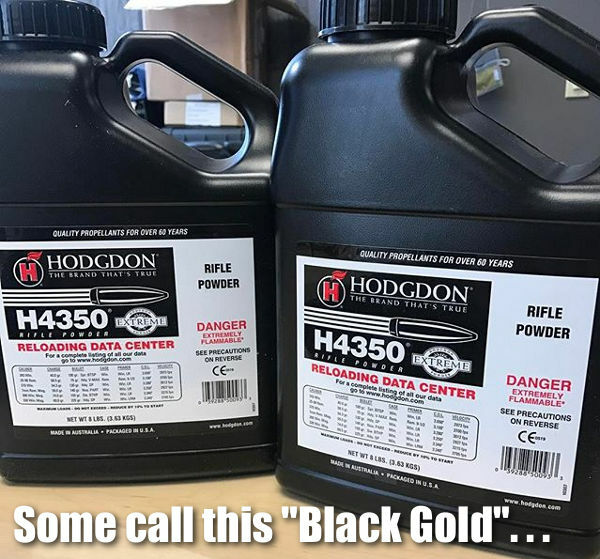 The company has been very successful, but sometimes that means supply can’t catch up with demand with some of the most popular powders, such as Hodgdon H4350, which is extremely accurate and also temp-stable. Chris said: “Getting more H4350 to our customers is one of our top priorities. 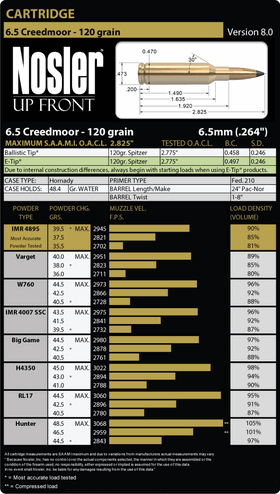 With the booming popularity of the 6.5 Creedmoor and other similar cartridges, there is a lot of demand for that powder.” Supply has definitely increased this year. Yes, H4350, in both 1-lb and 8-lb containers, is in stock right now at Bruno’s, Graf’s, Midsouth, and Powder Valley. Share the post "Hodgdon 2019 Annual Manual with 5000+ Loads Released"
We’re told the 6.5 Creedmoor is now the best-selling chambering in new bolt-action rifles sold in the USA. Accurate, versatile, with moderate recoil, the 6.5 Creedmoor serves hunters, paper punchers, and PRS shooters equally well. 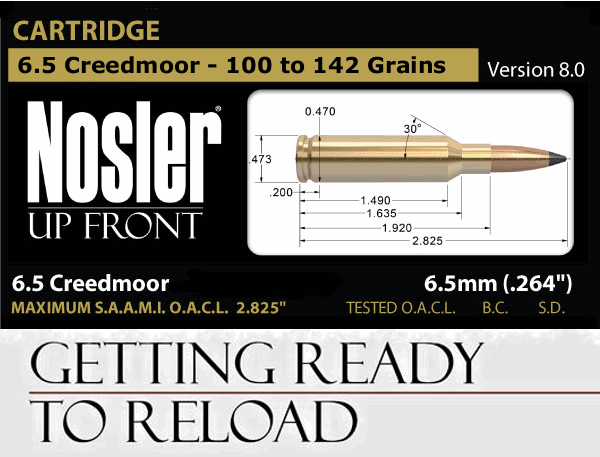 As part of its online Load Data Center, Nosler offers very complete load data for the popular 6.5 Creedmoor cartridge. This medium-sized cartridge has become one of the most popular chamberings for tactical and PRS shooters. The 6.5 Creedmoor combines excellent accuracy, good mag-feeding, good barrel life, moderate recoil, and reasonable component cost. That’s why this cartridge has caught on quickly. 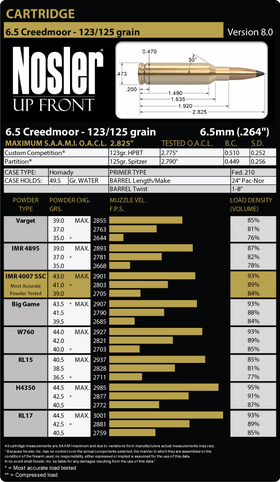 GET ALL 6.5 Creedmoor Load Data. 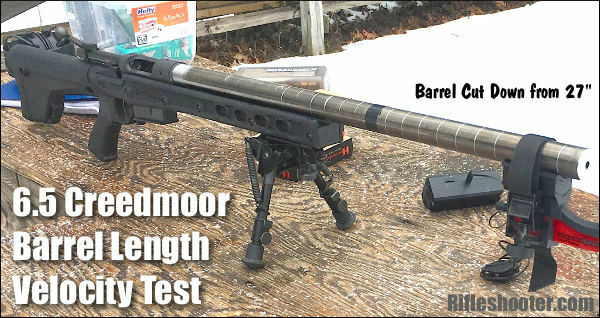 How does barrel length affect 6.5 Creedmoor Muzzle Velocity? CLICK HERE for RifleShooter.com barrel cut-down velocity test. 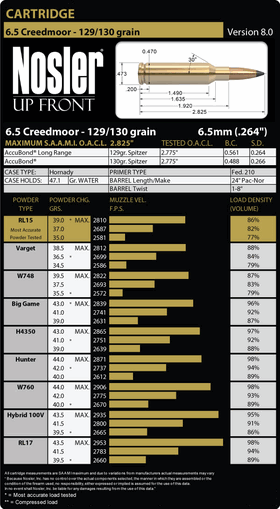 In addition to the data sheets shown above, Nosler offers 6.5 Creedmoor data for a 100 grain Ballistic Tip and Partition bullets. 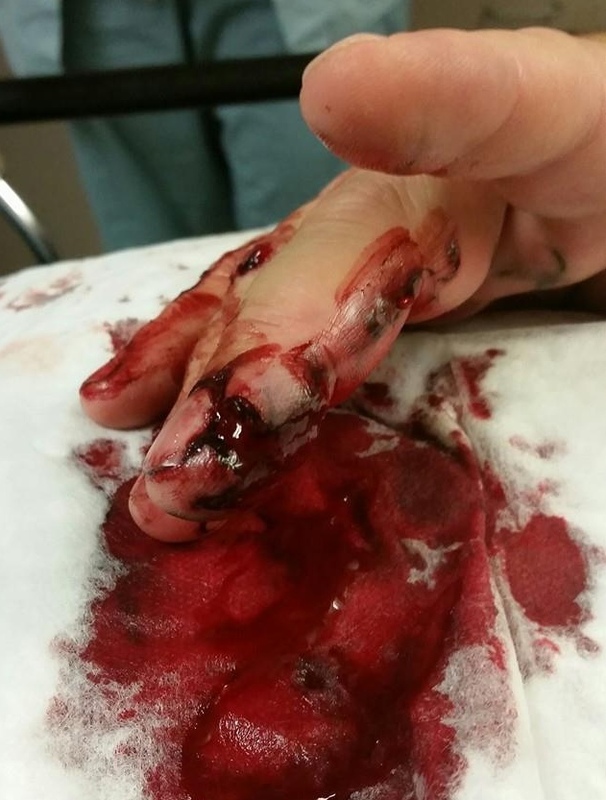 Share the post "6.5 Creedmoor Load Data with Popular Powders"
CLICK HERE for bigger, more graphic photo of injury. Denny wrote: “The seven-hour period it took to go to ER, transport to Trauma Center and surgery made me think it was a Savage rifle issue. Brand new rifle, new brass, triple-checked loading data. The next day I was humbled when I realized the Varget powder was still sealed. 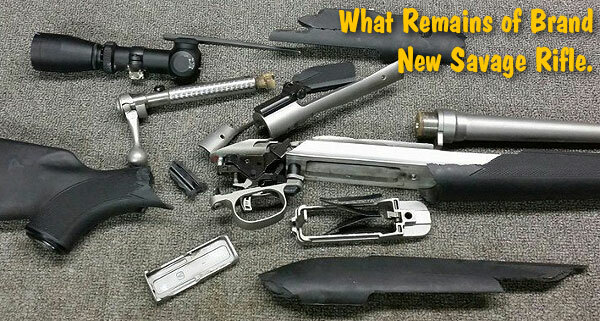 It’s not a bad idea to separate your pistol powders from your rifle powders, or perhaps even load for pistol in a separate part of your workshop. 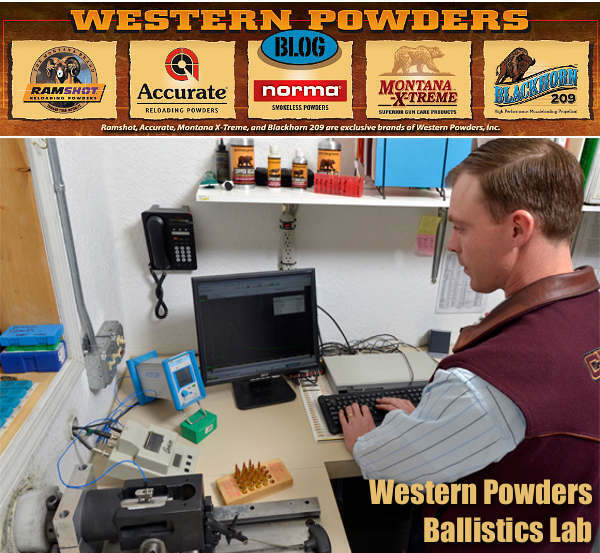 Share the post "Blood and Gore — Injury After Pistol Powder Loaded in Rifle Case"
Share the post "6.5 Creedmoor Load Data from Nosler"
Say Hallelujah. These are pallets of Hodgdon H4350, something that’s been very hard to find recently. Check with Bruno’s, Graf’s, Midsouth and Powder Valley very soon. Hodgdon H4350 has been the Holy Grail of reloading powders — highly desired but near impossible to find. For many popular cartridges such as 6XC, 6.5×47, 6.5 Creedmoor, and .260 Remington, H4350 has been the powder to beat — the “gold standard” for accuracy, low ES/SD, and temp stability. Unfortunately, H4350 has been in very short supply for the last couple of years. Major vendors such as Grafs.com, Midsouth and Powder Valley have been back-ordered for a long, long time. But now that may change. Hodgdon has received a very large supply of H4350, and has started shipping pallets of the popular powder this week. The photo above was taken May 9, 2017. Hodgdon announced: “We have a lot of powder going out the door most days, but we have some special powder going out again this week. This should be on your local reloading shops’ shelves in the next couple weeks. Reloaders, rejoice!” If you’re in need of H4350, we recommend you contact your favorite shooting shop or online distributors soon. And guys — buy what you need, but don’t horde. Leave some for other shooters. Instagram photo courtesy National Rifle League. 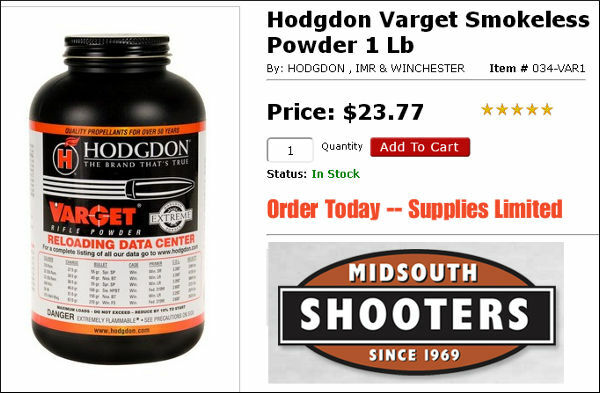 Share the post "At Long Last — Hodgdon Shipping H4350 Powder This Week"
Q: Does powder ever get to old to use and what identifying marks does your company put on the canister for when it is made, You have helped me out a while ago when I asked about keeping my cowboy shooting under 950 fps and it works great less stress on the hand and the recoil is very minimum. — R.B. Lab Answer: On one pound bottles, the number is on the corner in a silver box. 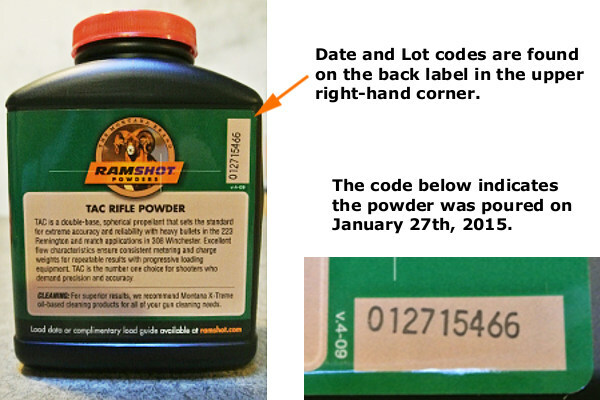 If the powder was poured today, it would read 012815 followed by a lot number. The whole number would look something like 012815749. Eight pound bottles have a sticker on the bottom with an obvious date code. The lot number appears above the date. 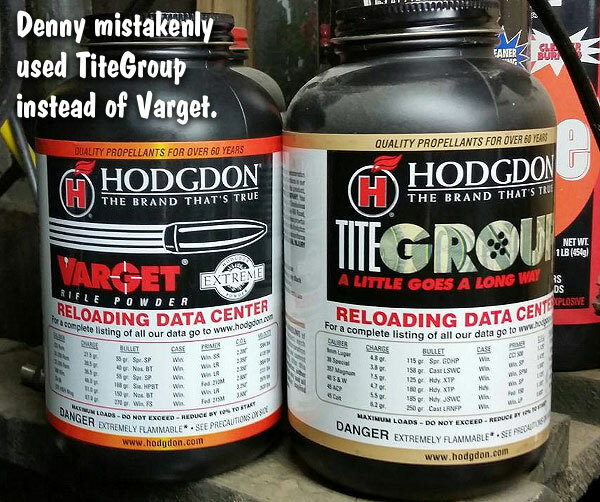 Share the post "Long-Term Powder Storage — What You Need to Know"
Share the post "Get Current Hodgdon and IMR Loads at Reloading Data Center"
Here’s an important announcement for anyone who uses a powder in the 4350 range. 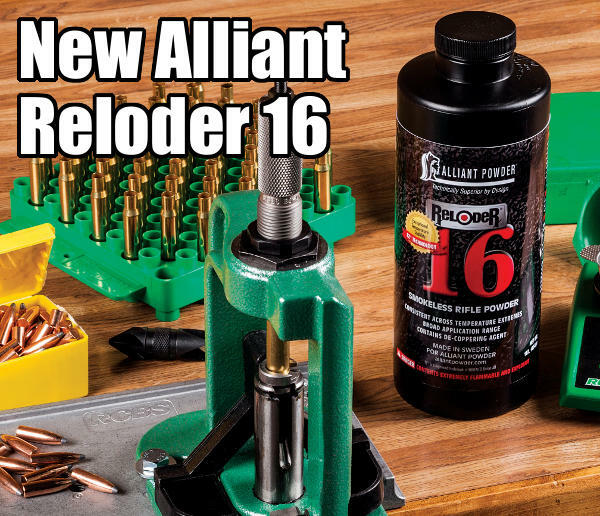 Alliant is now shipping the all-new Reloder 16 powder. The burn rate is slightly faster than Reloder 17, and a bit slower than Varget or Reloder 15. Notably, this new Reloder 16 powder is very temp stable. 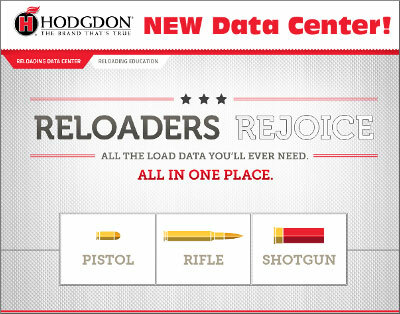 AccurateShooter.com was shown “top secret” test results comparing Reloder 16 with other popular propellants, including Hodgdon Extreme series powders. The results for Reloder 16 were remarkable. Reloder 16 showed extremely constant velocities even with very high ambient temps — so this is a powder you can shoot even on hot Arizona summer days. This is NOT just a slower version of Alliant’s double-based Reloder 15 (which words great in the 6mmBR and Dasher cartridges). Reloder 16 is a completely new formulation, produced in Sweden by Bofors for Alliant. Reloder 16 utilizes TZ technology, which manipulates the response of the propellant and resists the natural tendency to generate more pressure at higher temperatures and less pressure at lower temperatures. As a result, Reloder 16 offers outstanding temperature stability. Based on the test results we’ve seen, if you are using H4350 or IMR 4451 currently, you should definitely give Reloder 16 a try. The powder also boasts excellent lot-to-lot consistency and contains a proprietary de-coppering additive. Alliant tells us that Reloader 16 “is ideal for traditional hunting cartridges, such as .30-06 Springfield and .270 Winchester, as well as 6.5mm target loads and tactical applications wherein temperature stability is required.” We also think the powder may work very well in these popular match cartridges: 6XC, .243 Win, 6.5×47 Lapua, 6.5 Creedmoor, .260 Rem, .284 Win, and .300 WSM. 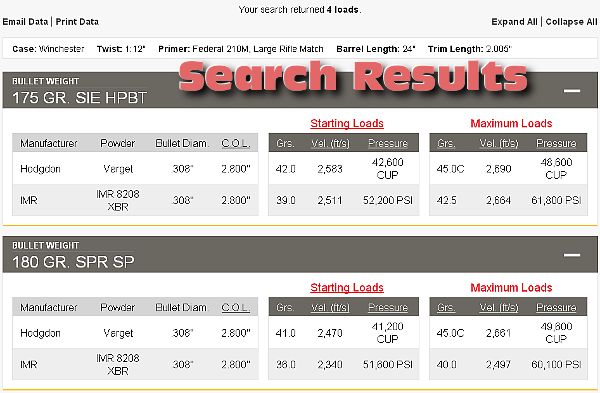 For example, Alliant’s Load Data Sheet shows a 2772 FPS load with 142gr SMKs in the .260 Rem. 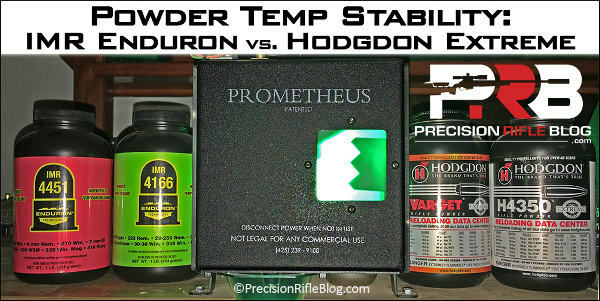 Share the post "New Temp-Stable Alliant Reloder 16 Now Available"
PrecisionRifleBlog.com (PRB) recently published results from a field test PRB conducted to quantify the temperature stability of the popular Hodgdon H4350 and Varget powders and compare those to IMR’s new Enduron line of powders, specifically IMR 4166 and 4451. Hodgdon Extreme Series powders have attracted quite a fan base, with over 90% of the top shooters in the Precision Rifle Series choosing to run one of those powders. 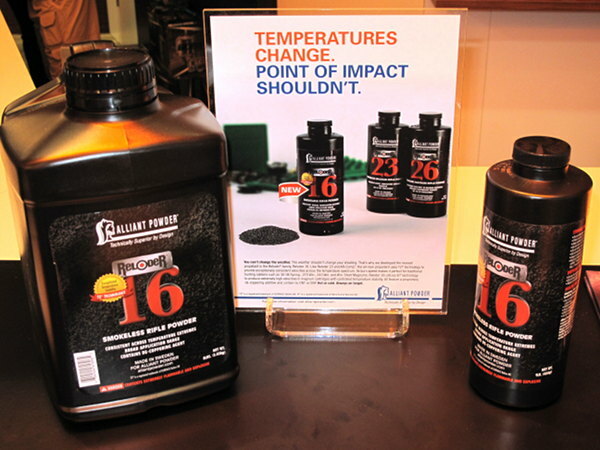 IMR recently released a new line of powders “with Enduron Technology” — which is also marketed to have “extreme temperature stability”. Sounds familiar! These new powders should compete directly with the Hodgdon Extreme Series, which gives shooters more temp-stable powder options to consider. Once they had a couple dozen rounds loaded with each powder, they went and shot them with each powder at 25° F, 65° F, and 140° F. The muzzle velocity of each shot was recorded using both a LabRadar Doppler Radar and a MagnetoSpeed Chronograph. 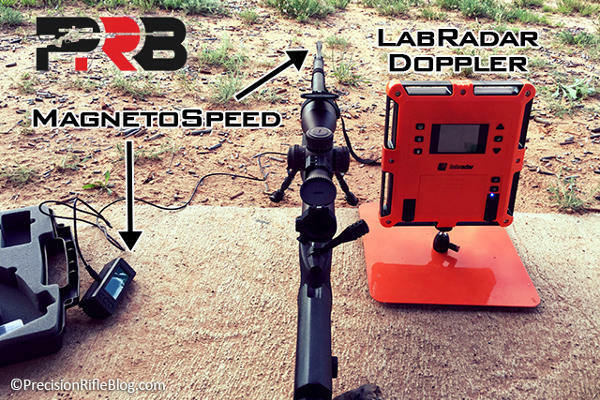 The LabRadar is a new type of device that allows you to measure muzzle velocity within at least +/- 0.1% of the reading. Most powders aren’t specially formulated to be temperature stable. So they would likely show much larger swings than what these four top-performing powders showed. 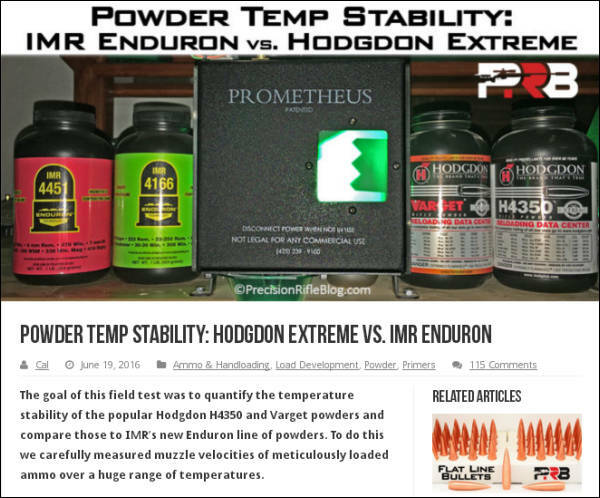 Share the post "Powder Temp Stability: IMR Enduron vs. Hodgdon Extreme"
Well folks, it’s July 1st already — the means we’re moving into “peak heat” summer conditions. 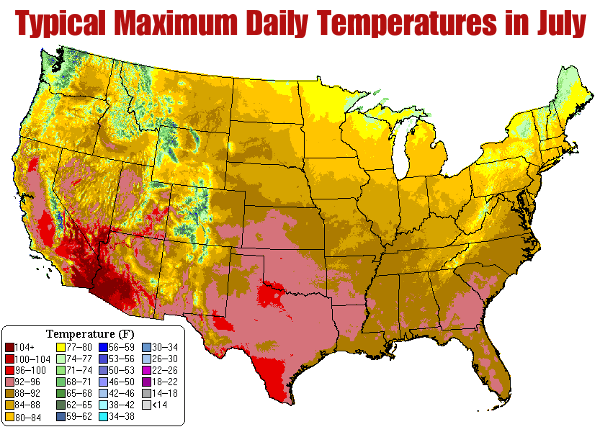 It’s vitally important to keep your ammo at “normal” temps during the hot summer months. Even if you use “temp-insensitive” powders, studies suggest that pressures can still rise dramatically when the entire cartridge gets hot, possibly because of primer heating. It’s smart to keep your loaded ammo in an insulated storage unit, possibly with a Blue Ice Cool Pak if you expect it to get quite hot. Don’t leave your ammo in the car or truck — temps can exceed 140° in a vehicle parked in the sun. To learn more about how ambient temperature (and primer choice) affect pressures (and hence velocities) you should read the article Pressure Factors: How Temperature, Powder, and Primer Affect Pressure by Denton Bramwell. In that article, the author uses a pressure trace instrument to analyze how temperature affects ammo performance. Bramwell’s tests yielded some fascinating results. 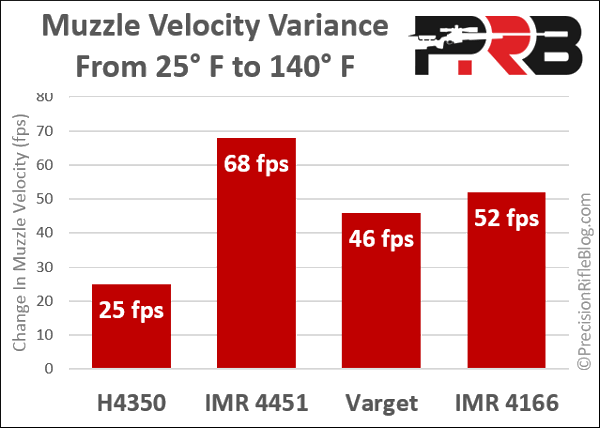 Our friend Cal Zant of the Precision Rifle Blog recently published a fascinating comparison test of four powders: Hodgdon H4350, Hodgdon Varget, IMR 4451, and IMR 4166. The first two are Hodgdon Extreme powders, while the latter two are part of IMR’s new Enduron line of propellants. 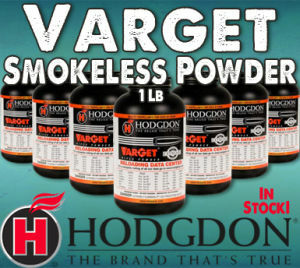 The testers measured the velocity of the powders over a wide temperature range, from 25° F to 140° F. Hodgdon H4350 proved to be the most temp stable of the four powders tested. Share the post "Beat the Heat: Keep Your Ammo Cool in Summer"
IMR® Legendary Powders now offers four (4) Enduron powders: IMR 4166, IMR 4451, IMR 4955, and IMR 7977. 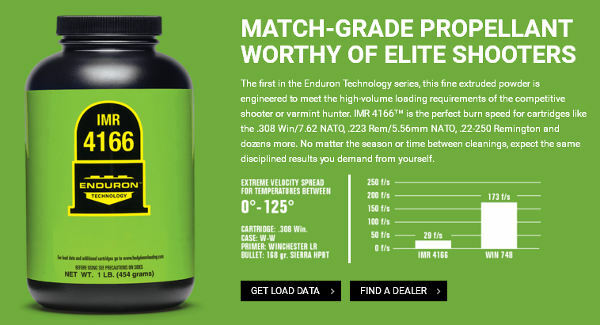 Shooters looking for readily-available alternatives to hard-to-find extruded powders should definitely check out the Enduron line-up. Precision shooters will find an Enduron option well-suited to most of the popular precision cartridge types. For example, IMR 4166 is a good replacement for Hodgdon Varget (commonly used in the .223 Rem, 6mmBR and .308 Win), while IMR 4955 is a fine substitute for H4831 (favored by F-Open shooters for the .284 Win and 7mm WSM cartridges). The technology in IMR’s Enduron line of powders provides four very important qualities that enhance both in-gun and downrange performance. Copper fouling reduction – these powders contain an additive that drastically reduces copper fouling in the gun barrel. Copper fouling should be minimal, allowing shooters to spend more time shooting and less time cleaning a rifle to retain accuracy. Temperature change stability – the Enduron line is insensitive to temperature changes. Whether a rifle is sighted in during the heat of summer, hunted in a November snowstorm or hunting multiple locations with drastic temperature swings, point of impact with ammunition loaded with Enduron technology will be very consistent. Optimal load density - Enduron powders provide optimal load density, assisting in maintaining low standard deviations in velocity and pressure, a key feature for top accuracy. Environmentally friendly - Enduron technology is environmentally friendly, crafted using raw materials that are not harmful to the environment. IMR now offers four Enduron powders that cover a broad range of burn rates. They are suitable for a wide variety of cartridges, from small varmint cartridges all the way up to the .338 Lapua Magnum. IMR 4166 possesses the fastest burn rate in the Enduron lineup. It is the perfect burn speed for cartridges such as .308 Win, 7.62mm NATO, 22-250 Rem and 257 Roberts. A versatile, match-grade propellant, IMR 4166 is comparable to Hodgdon® Varget. IMR 4451 is a mid-range burn speed powder, ideally suited for cartridges such as .270 Winchester, .30-06 and 300 Winchester Short Magnum. This powder is comparable to Hodgdon H4350. IMR 4955 is a medium burn speed powder, falling in between IMR 4451 and IMR 7977 in burn speed. It provides top performance in big game cartridges such as 25-06, 280 Remington and 300 Winchester Magnum. This powder is comparable to Hodgdon H4831. IMR 7977 has the slowest burn rate among the Enduron Technology powders. Its loading density is perfect for magnum cartridges and contributes to superb uniformity, yielding outstanding performance in 300 Winchester Magnum, 7MM Remington Magnum and .338 Lapua Magnum. IMR 7977 is comparable to Hodgdon H1000. The Enduron Technology powders are available in one-pound (1 lb) and eight-pound (8-lb) containers from quality reloading retailers. Learn more about Enduron powders at www.enduronimr.com. For info on other IMR powders, visit www.imrpowder.com. Share the post "Guide to IMR’s Enduron Powders — What You Need to Know"
This is a grim tale. 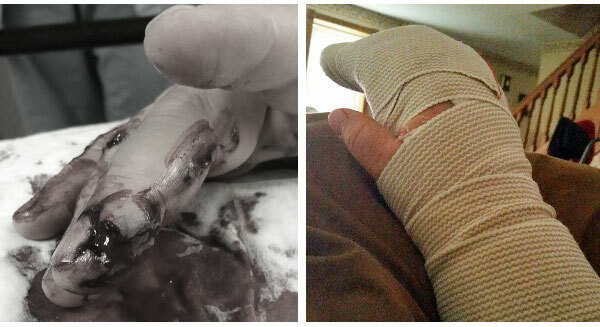 A man almost lost the use of his right hand, and did suffer terrible injuries to his fingers. All because he picked the wrong bottle of powder off the shelf. Share the post "Pistol Powder in a Rifle Cartridge — The Handloader’s Nightmare"